Anyone who knows me knows that I love sushi. 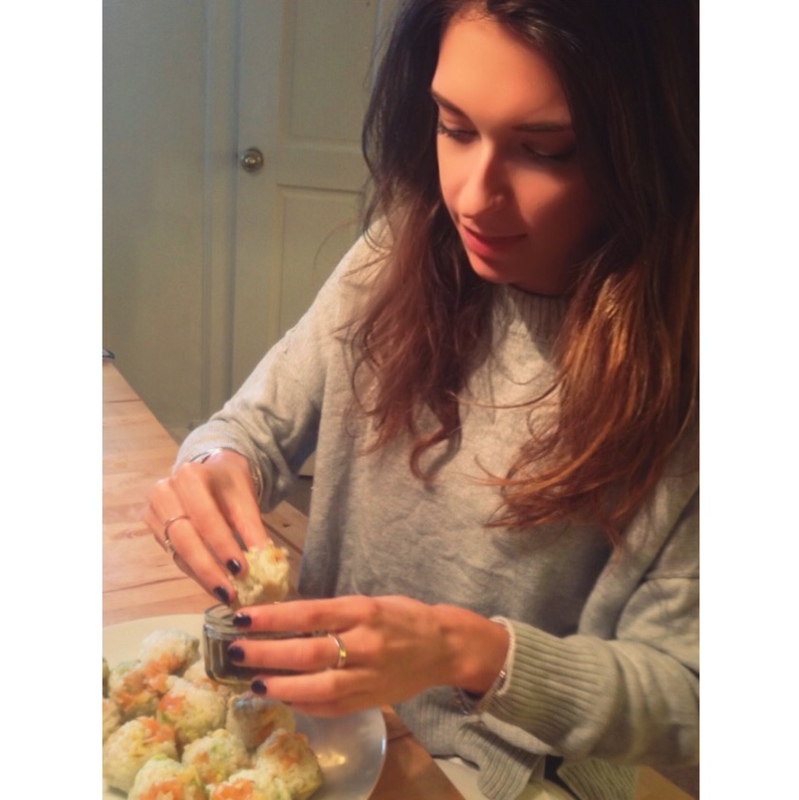 I’ve made homemade sushi a couple of times with friends, but I never seem to get round to making it on my own – can’t afford the kit, can’t find anywhere that sells one, seems like too much effort… There’s always something. Literally all you need is the sushi rice and whatever ingredients you want to throw in there. Why did no one tell me this before? 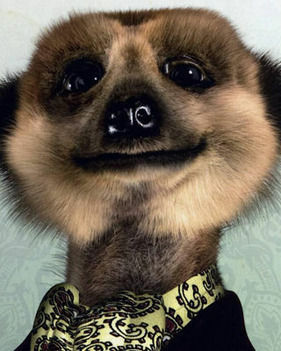 Have I missed a very important memo? I feel like this is something I should have known about. 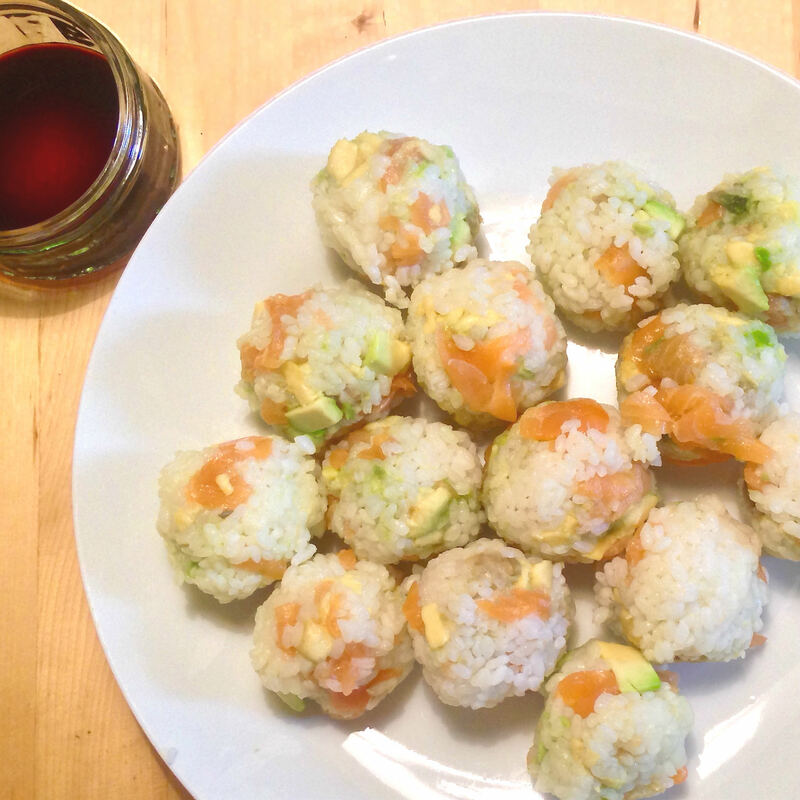 Salmon and avocado sushi balls. They’re so simple to make, when I was told about them I couldn’t believe I hadn’t thought of them before. I ate all of these in one sitting (don’t judge me) but if you can’t or don’t want to eat them all, you can simply wrap them in cling film (that’s saran wrap for any Americans), shove them in the fridge, and have them for a quick bite another day – it’s perfect for grazing! And what’s the greatest thing about these sushi balls? The ingredient combinations could be endless. I’m already envisioning all the different things I could put in them. In case you can’t tell by my excitement, this may not be the last you see of sushi balls on my blog. Cook about 250g of sushi rice as instructed on the packet (remember to make sure you wash the rice a couple of times with cold water, to get all the residue off!). This usually involves boiling the rice for 5-10 minutes, and then leaving to stand for an extra 25-30 minutes off the heat. 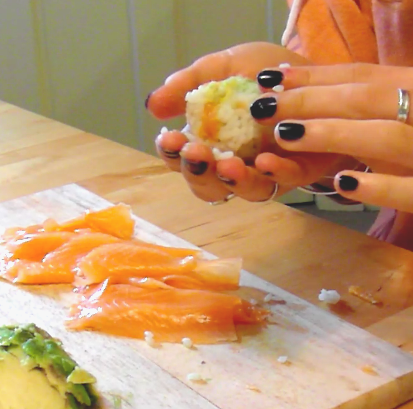 In the meantime, chop up all the ingredients you want in the sushi balls – in this case, avocado and salmon. Mix the rice and your ingredients together! This is the part I had the most fun. Grab a palm-ful of the rice mixture in your hands. Now, shut your hand around the rice and squeeze lightly – you should feel the rice becoming a more solid ball as it compresses. Squeeze and roll the ball in your hands until you get a round ball. I feel this photo makes the eating process look a lot more serene and a lot less like the hunger-fueled sushi ball massacre it really was. Proof that even the most simple of things can bring you an incredible amount of enjoyment.